This is my shopping guide to eBay in the Netherlands & Holland. Shop locally, or access Dutch e-commerce globally — now available in English! Most Dutch eBay sellers are selling on both, the local eBay.nl site and international version of eBay at eBay.com which is available in English. These are the basics on doing your shopping there! Step 2. Look for where it says “Advanced”, besides top Search button. Step 3. Go down on that page to “Location” settings. Step 4. Choose Netherlands and search for items! Step 2. First search for your item as usual. Step 3. Then check the “item Location” settings on the left, and choose to narrow down your search to within Europe only. That’s it! Weather you are located abroad or within the Netherlands, eBay provides a convenient way to sell items to Dutch buyers in English. See the “Global Shipping Program” for more information for international & foreign sellers. 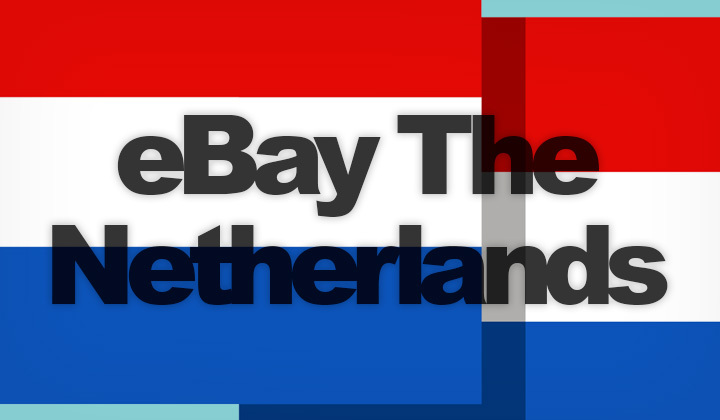 To use the native Dutch version of the local eBay store in the Netherlands, an alternative solution is to translate the whole website from Dutch to English. The best way to do this, is to use the Google Chrome browser, which does this automatically. But I still recommend using the international version of eBay which is in English, as product descriptions are contained within an iframe which are left untranslated if in Dutch. For these, you’ll need to manually copy/paste the description to Google Translate or other translation tool. Alternatively open the iframe in a new browser window. Please, ask me if you have any questions about this. Currently no other site based in Holland has taken on the challenge to provide competing online auctions, and trading portal services. Therefore no shopping sites can be really considered equivalents, in terms of available features. However, Marktplaats is a popular site and most similar to eBay. They are a more traditional classifieds site, which goes by the slogan, “The place to buy and sell new and second-hand items”. Founded in 1999, it started as a free place to post seller ads but now has paid services and more features such as online auctioning. It was acquired by eBay in 2004 and is still one of the most visited e-commerce websites in the whole of the Netherlands. The website at Marktplaats.nl is available in Dutch only. However, as most sellers can speak excellent English, those foreigners who manage to navigate the interface usually have no problems making purchases, or even selling there. It is often considered the best alternative for eBay, however they are mostly limited to used items and individual sellers. Other sites like Marktplaats exists in the Netherlands and Holland, however they are largely overshadowed by it’s popularity. And this was my guide to eBay in Netherlands & equivalents in English. Any questions about online auctioning and shopping in Holland? Your input and feedback is most welcome below! Please note, this post is linking to sites like eBay.com and eBay.nl, both of which Elftronix is affiliated with. Therefore the author may be eligible for monetary compensation for any purchases made after clicking on a link. You may freely opt-out of this by clearing your cookies. Thank you for supporting me! David.